Do you all browse the internet looking for ideas, and inspiration? I sure do, and have pinned, and copied so many pretty cards that I would like to try for myself. You can turn any of these designs into your own by using what you have on hand. I received a beautiful swap card from my good friend, Lisa Fleming. I loved everything about it so I copied her design, and made it my own. 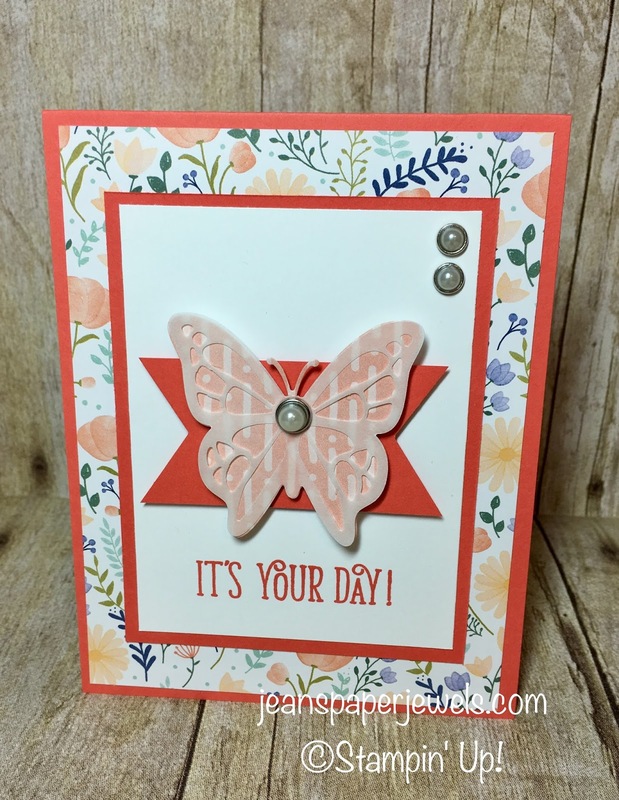 Click HERE to see Lisa's fabulous card. 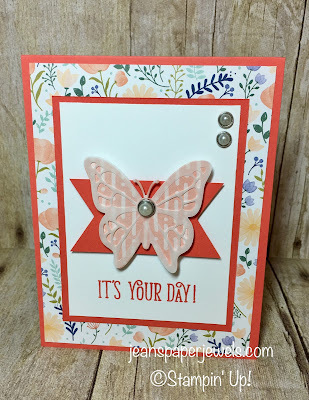 I used the butterfly die from the Move Me Thinlits Set for my card. The intricate part is cut from our Vellum, and the base is a scrap of designer paper from the Delightful Daisy Designer Series Pack. The background is from the same pack. The stamp is from Happy Birthday Gorgeous. I copied Lisa's card measurements, and design. They both look so different. So give it a try! Use those wonderful supplies that you have on hand.